John Fitzgerald Kennedy was the 35th President of the United States and is one of the most important political figures of the 20th century. He was involved into politics long before becoming a President in 1961, however his presidency didn’t last for four years, as he was assassinated in 1963. During his career in politics, Kennedy managed to help his country a lot – he came up with reforms that helped the U.S. economy to recover from recession and he prevented the Cold War from turning into a nuclear war. 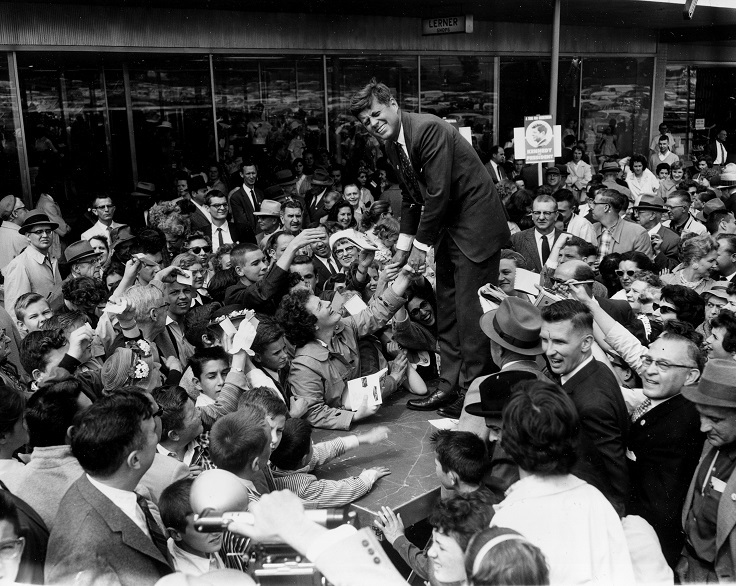 These are just few of his accomplishments – scroll down to read more about President Kennedy. John F. Kennedy won the 44th quadrennial presidential election in 1960. He represented the party of the Democrats and defeated his Republican opponent, Richard Nixon. Kennedy had a very well organized and well – paid campaign that helped him win and before his career as U.S. President, he worked as Senator representing the state of Massachusetts. Kennedy served as President until his assassination in 1963. During his soldier days in the World War II, in 1943 Kennedy was given command of Motor Torpedo Boat PT-109. The Japanese attacked him and his team, so they had to either give up or swim to a tiny deserted island, where they were later saved. Kennedy successfully managed to save all team members, even though he himself was injured. Thanks to this, he was given the highest non-combat decoration awarded for heroism by the U.S. Navy – the Navy and Marine Corps Medal. 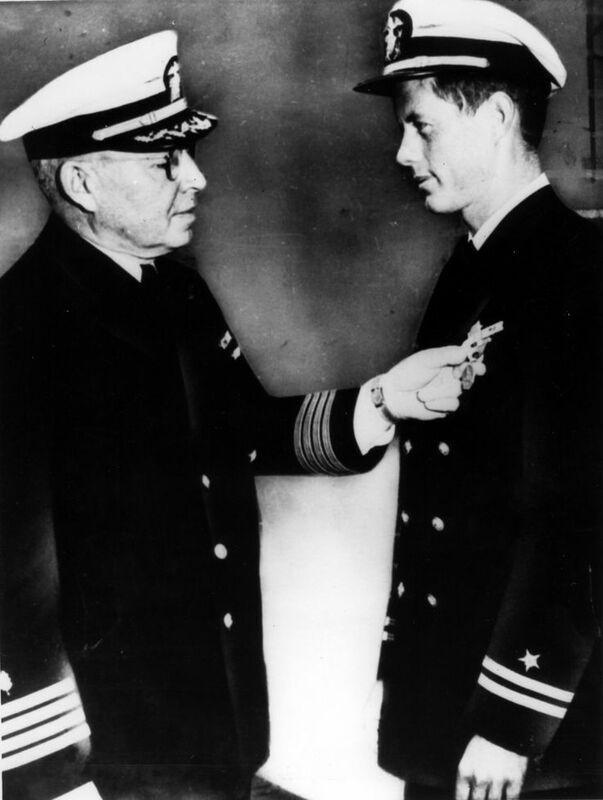 Kennedy was also given the Purple Heart Medal for injuries. The Cold War between USA and the Soviet Union was really close to turning into a real, nuclear weapon war during the presidency of Kennedy – in fact, it was the closest to war it ever got until the official ending of the Cold War! It all started with the Cuban Missile Crisis in 1962, when the Soviets placed nuclear weapons in Cuba. After tense negotiations between the two leaders, they decided that the Soviets will take back their weapons and that the USA won’t invade Cuba without provocation. 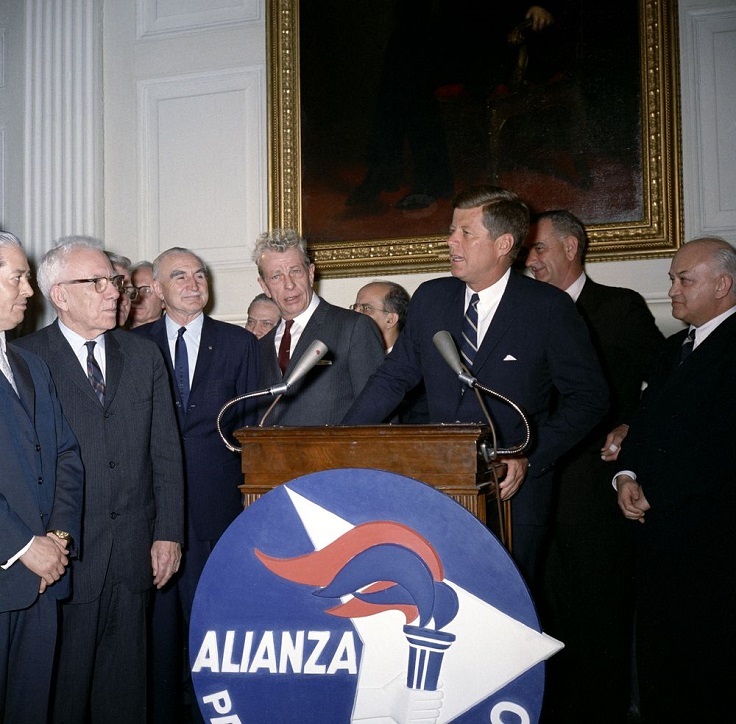 In 1961, President Kennedy established the Alliance for Progress, which meant establishing an economic cooperation between the U.S. and the Latin American countries. The Alliance improved the living standard with the money that the U.S. provided for the countries. 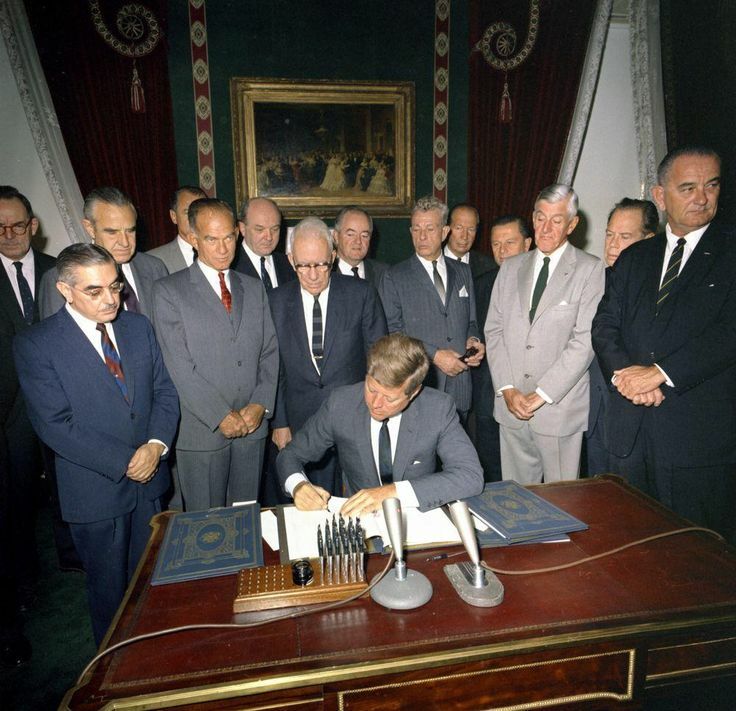 This turned out to be successful, however after Kennedy’s death the Alliance failed because of the disinterest of the Latin American leaders to implement the reforms and because of the next U.S. Presidents supporting less this cooperation. The New Frontier was a domestic program that aimed at improving the living standard of the U.S. citizens. This meant passing important reforms such as increasing the minimum wage, improving both social security and unemployment benefits, developing a better transportation across and within cities, establishing a water pollution control to protect rivers and streams and passing a farming legislation that would be extremely helpful to the farmers. 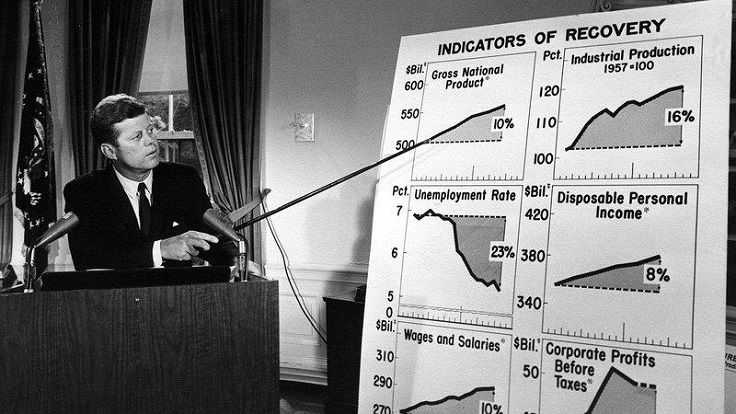 President Kennedy had such a serious challenge ahead of him – when he became a President, the USA was in recession. The economy was struggling, however after the measures he took, such as the New Frontier, the economy improved. During his presidency, the GDP grew by an average of 5.5% and the industrial production rose by 15%. All these factors helped into decreasing the unemployment as well. President Kennedy founded the Peace Corps in 1961 and it is one of the most successful programs established during his presidency. The program aimed at helping underdeveloped countries, with American volunteers helping in different areas, such as education and construction. The first year there were 5.000 volunteers and this number grew throughout the years – in 2016 there were more than 250.000 Peace Corps volunteers! 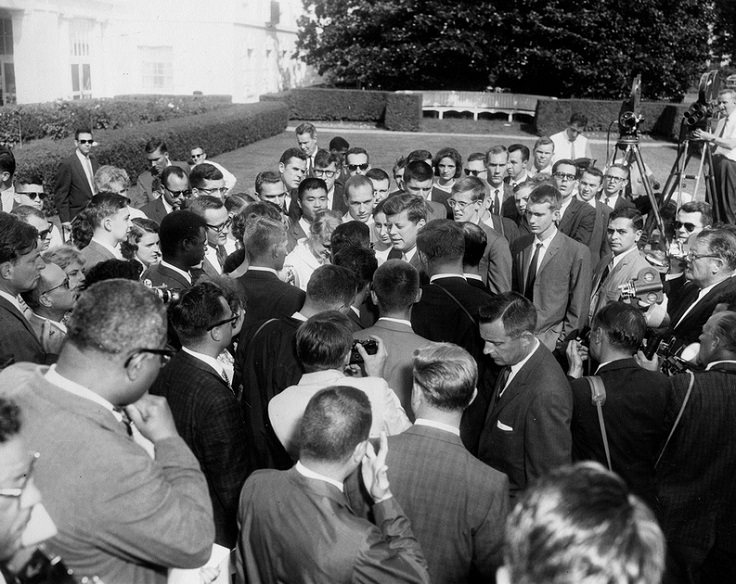 On this picture you can see Kennedy greeting the first ever Peace Corps volunteers. 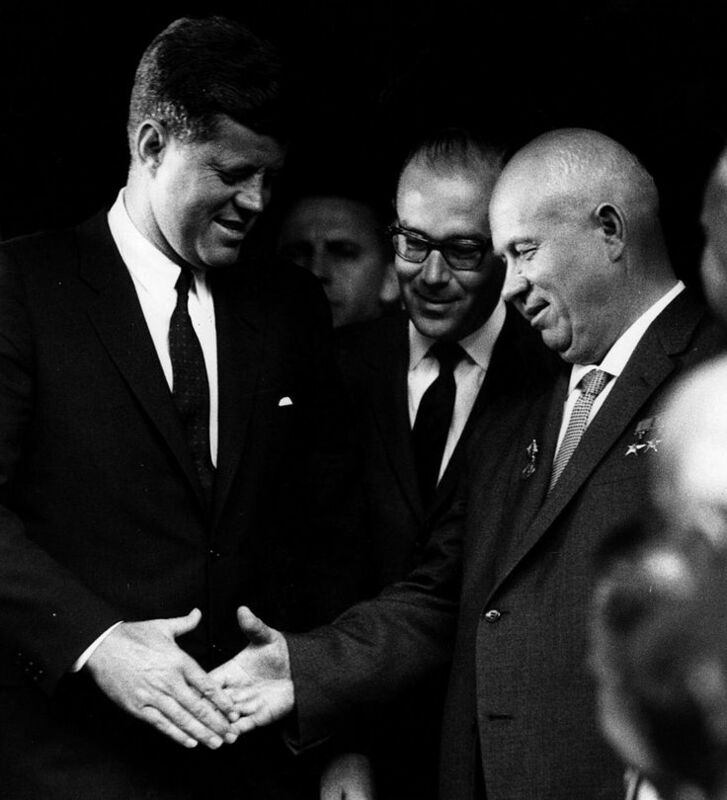 In order to prevent another war from happening and to save the environment from radioactive damage, President Kennedy went on negotiating with the Soviet’s leader Nikita Khrushchev. The result was a treaty signed from both governments, including UK as well. They signed the treaty, known as Nuclear Test Ban Treaty in 1963 in Moscow and that meant that nuclear testing on the ground, in the atmosphere or underwater is prohibited. 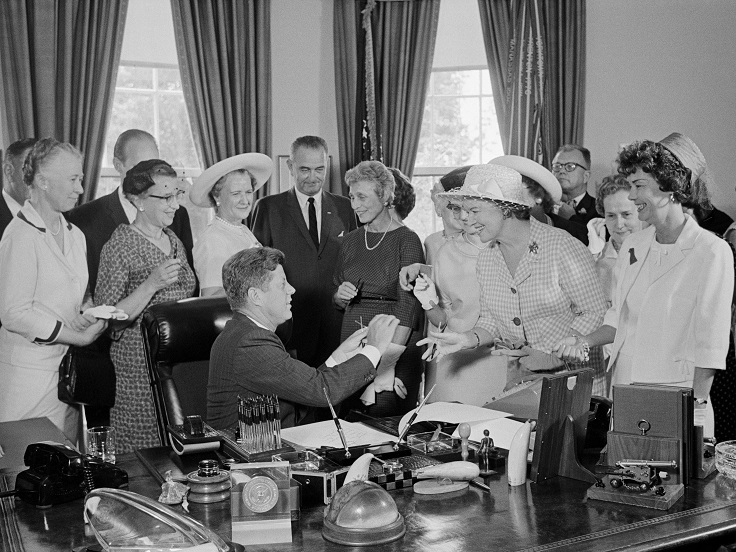 Kennedy signed the Equal Pay Act in 1963 and this was an enormous step into decreasing the wage gap between men and women. Even though this seemed amazing on paper, the Equal Pay Act didn’t bring full equality pay, at least it really help for women to get higher salaries than they used to before the act’s enactment. 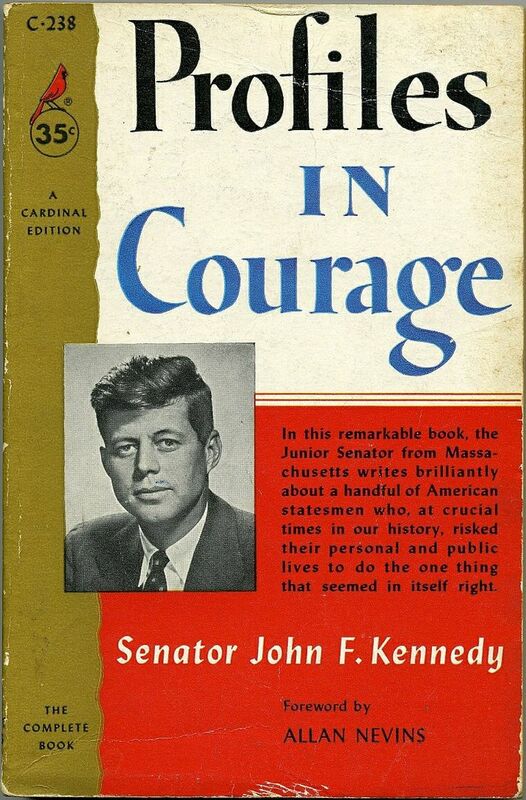 Before becoming a President, while he was still a senator, Kennedy won the Pulitzer Prize in 1957 with his book of short biographies called Profiles in Courage. In this book, he tells about the bravery and integrity of eight U.S. senators. 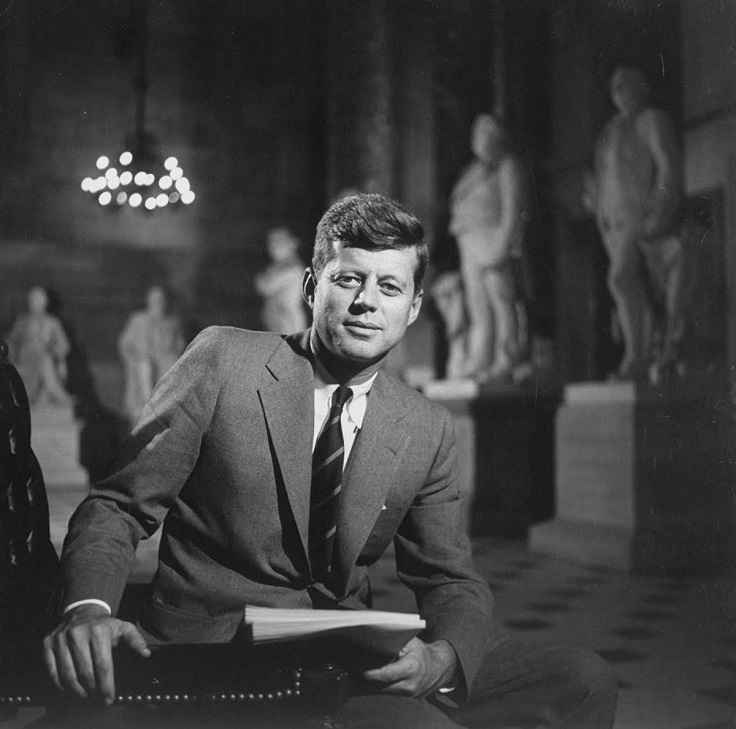 With this, Kennedy is the only U.S. President to ever receive a Pulitzer Prize.